Failsworth Harris Tweed and Leather Retro Herringbone Gloves. 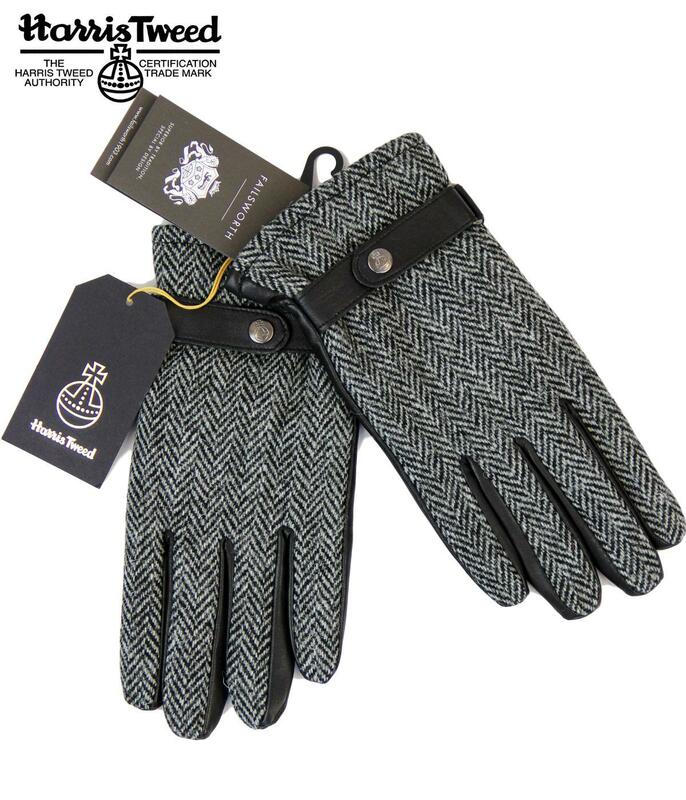 Take note of the orb of authenticity on these fab Retro Harris Tweed Herringbone Gloves. Luxurious Wool Herringbone back and Retro leather front create that stylish Vintage look. Silver metallic Harris Tweed orb snap to the Retro tab adjuster. A great Retro accessory and the perfect gift idea. 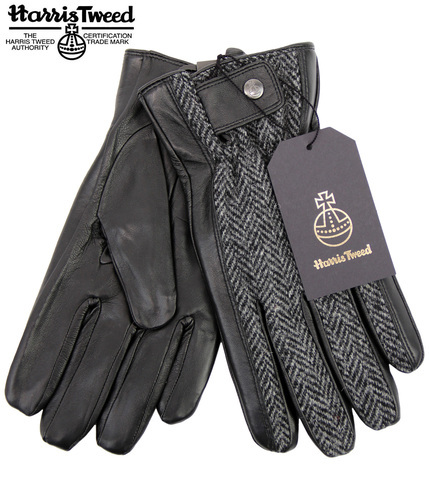 Failsworth Harris Tweed Wool Herringbone Retro Gloves in black and grey. Black leather palms create that essential Indie look. Textured Herringbone Harris Tweed complimented by Retro leather tab adjusters. Harris Tweed iconic Orb snap detail. Tonal stitching. 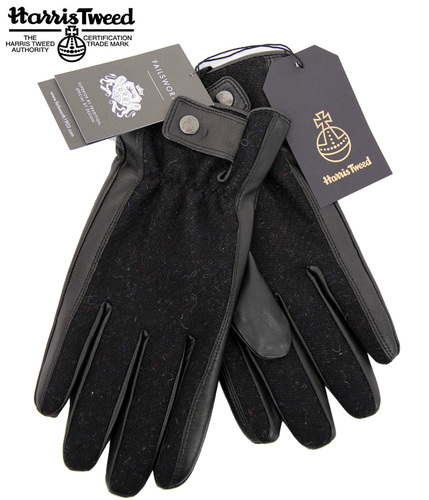 These Harris Tweed and Leather gloves are perfect for the colder months. Key Points: Failsworth Harris Tweed & Leather Gloves with Orb snap tab. Composition: Harris Tweed Wool and Leather. Lining 100% Polyester. 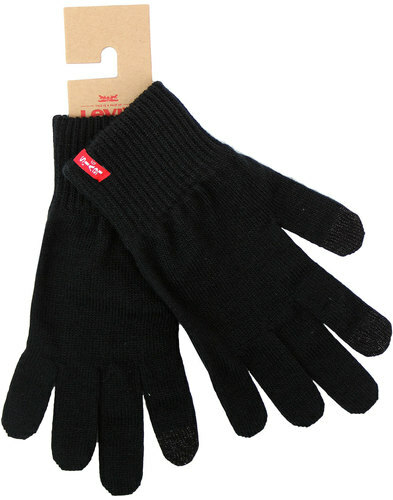 SKU: W1009 Herringbone Tweed Gloves.